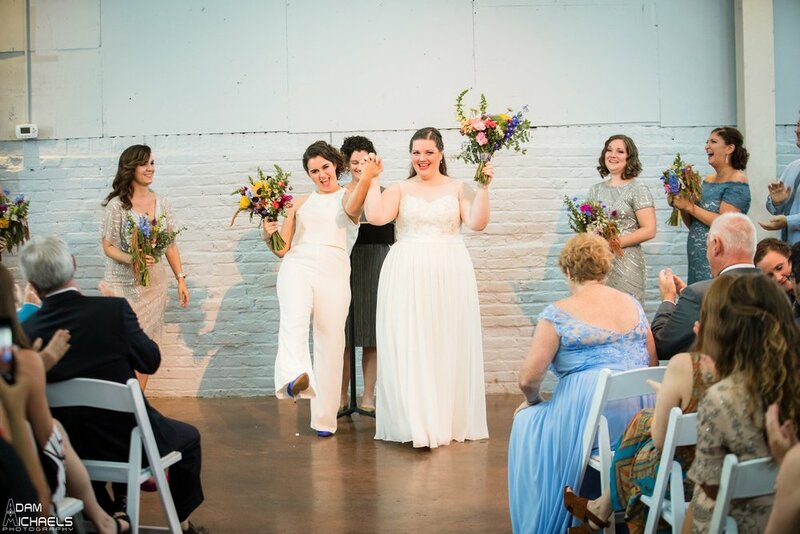 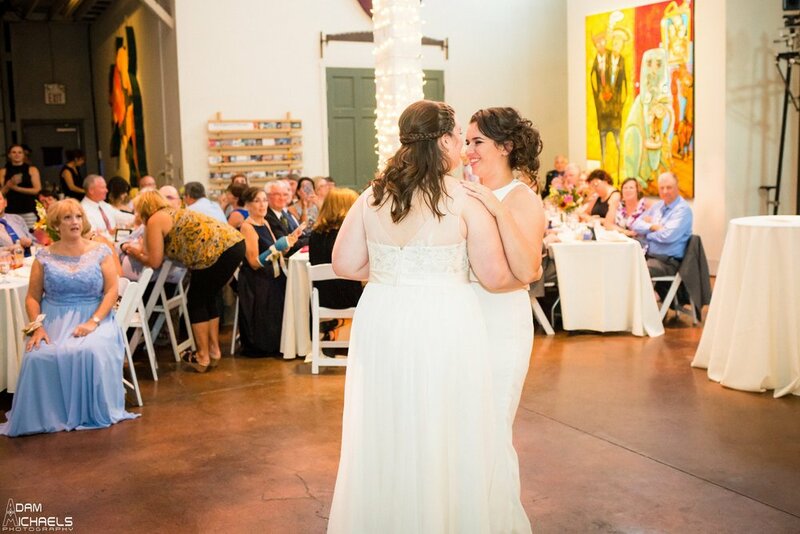 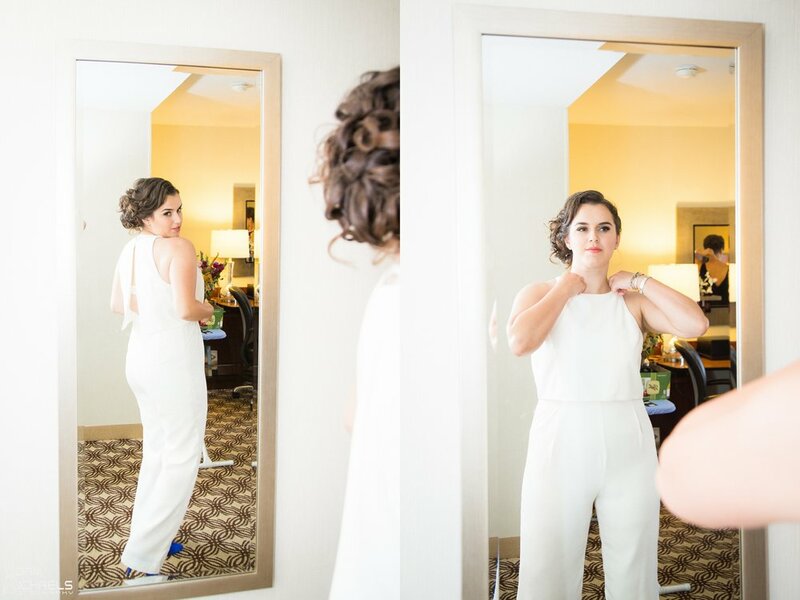 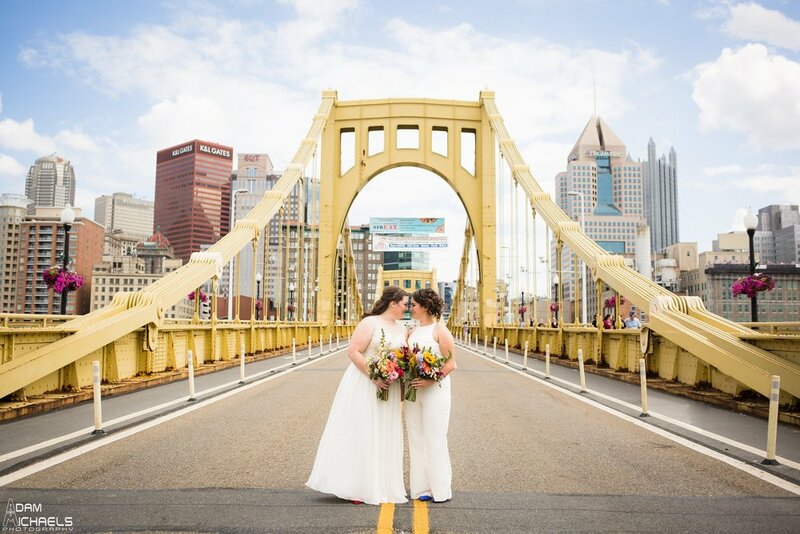 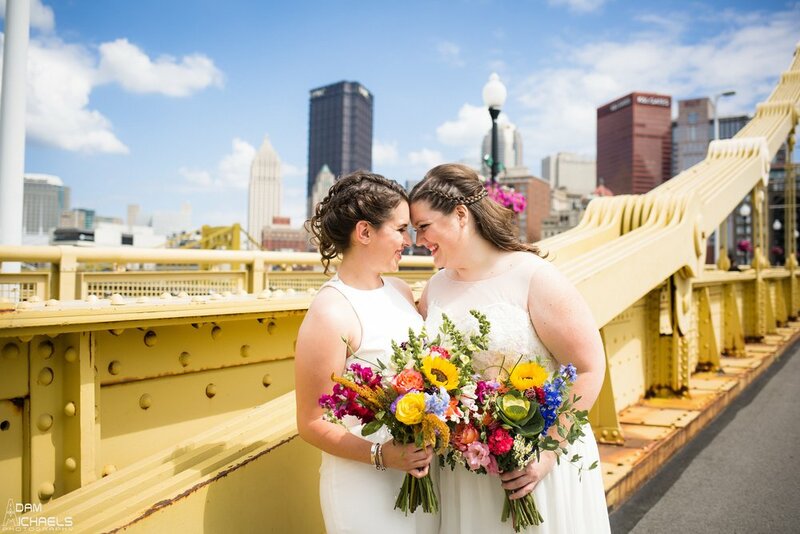 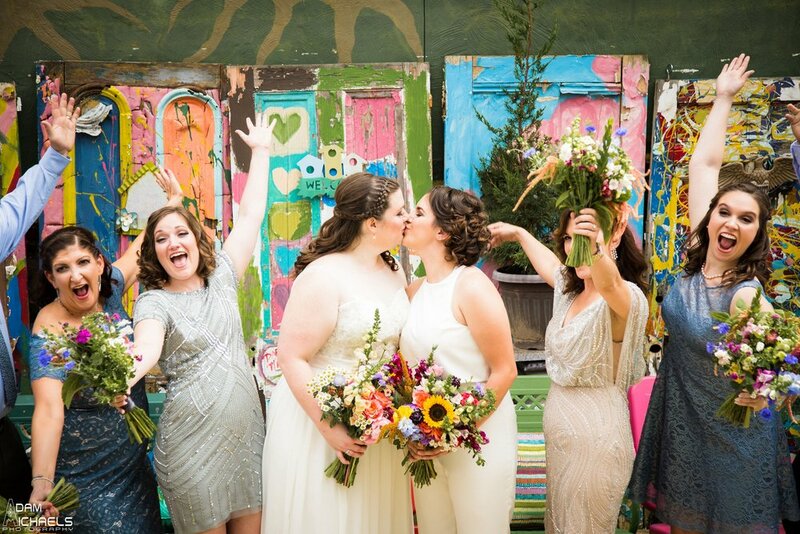 Erin & Molly's wedding was seriously one for the books! 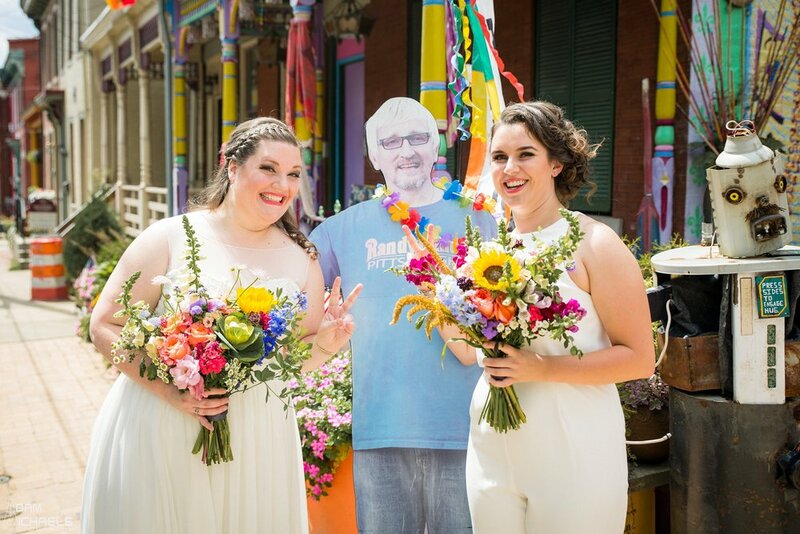 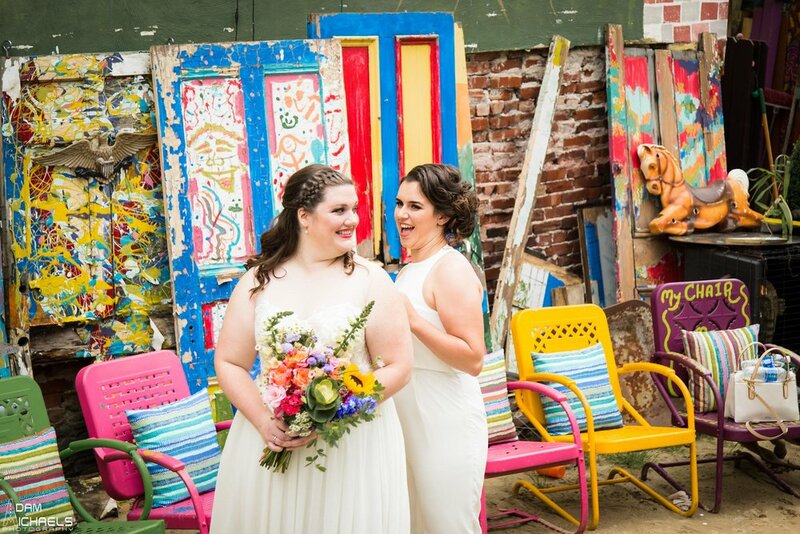 They choose Randyland for their first look and they couldn't have made a better choice! 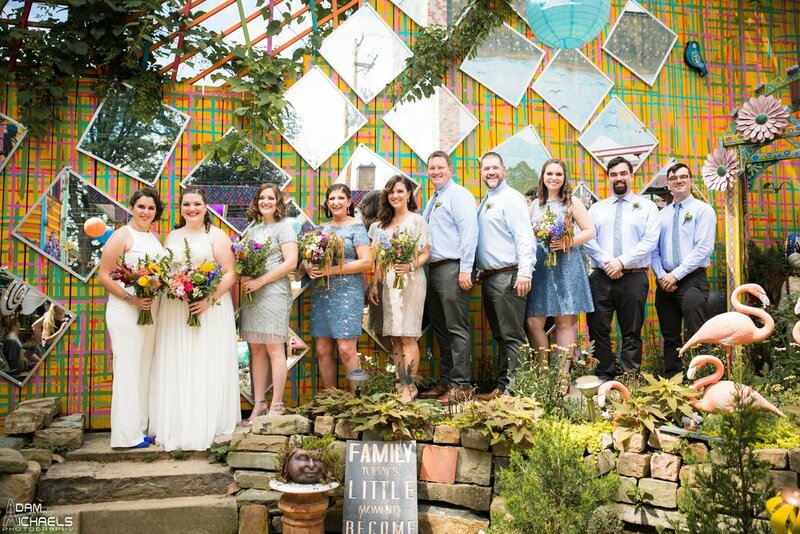 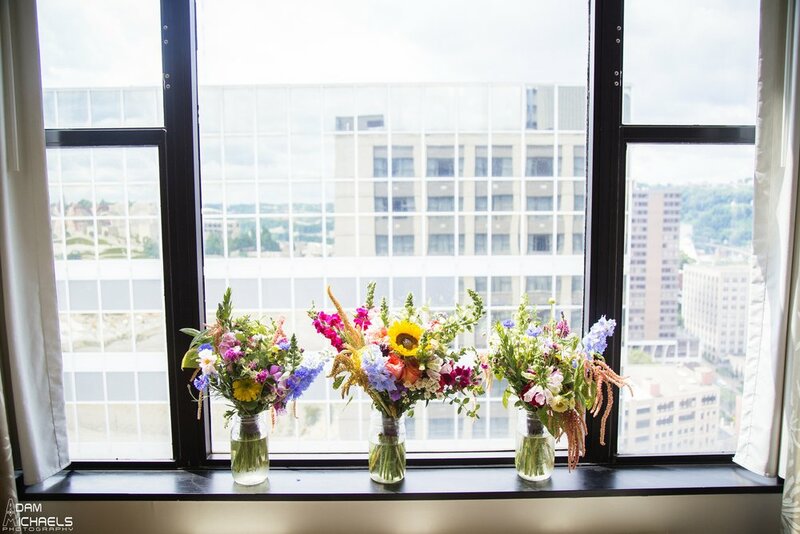 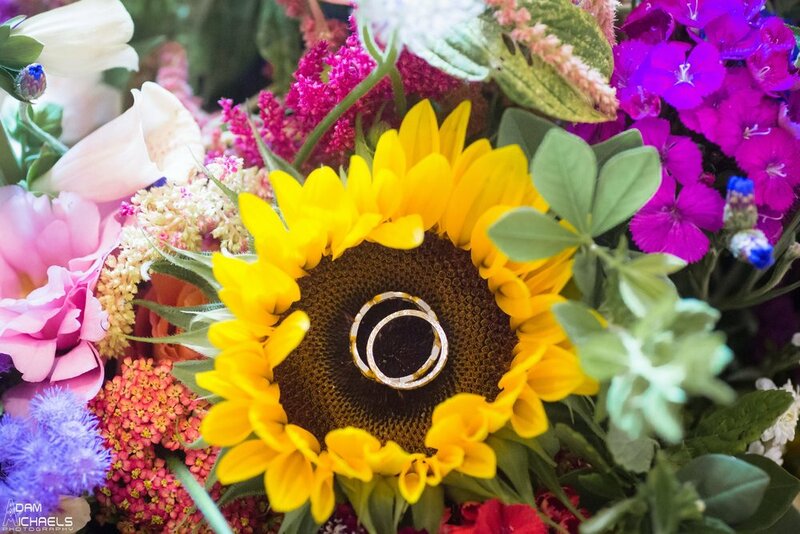 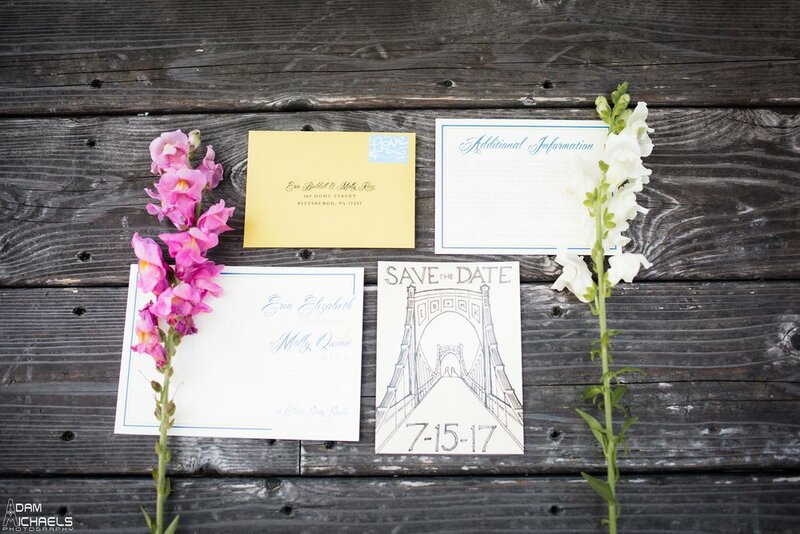 Special shoutout to The Farmers Daughter for providing the BEAUTIFUL florals and Clear Story Studio for being the perfect place for their big day!